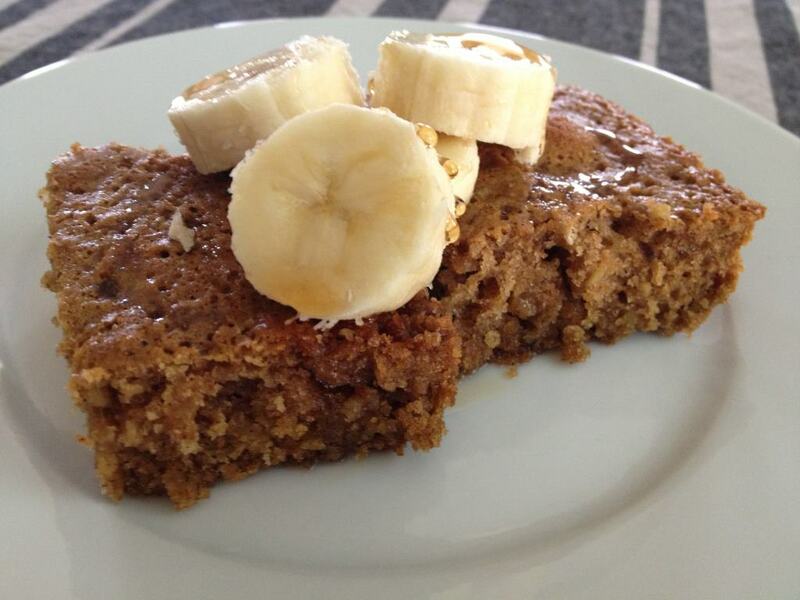 Here is a recipe for a delicious and healthy snack cake. It is a good example of snack breads and muffins that I bake on a regular basis, with the goal of making them nutritious, tasty and lower on calories. Snacks=mini meals, and for the most part I try to keep our meals healthy, and splurge on desserts. This snack cake is originally from Ann from On Sutton Place. It is her mother’s recipe, and I am sure it is delicious as written. However, I adapted it to suit our needs, and have been making it this way since then. I hope you try it, either the original or the “snack” version! It makes great breakfast too. 2. In a medium bowl pour the boiling water over the 1 c. oatmeal. Stir and let cool. 3. In a large bowl mix the sugars, butter and eggs until fluffy. Add flour, soda, cinnamon and salt. Mix well. 4. Add oat mixture and mix until combined. Bake 35 – 40 min. until knife inserted in the middle comes out clean. 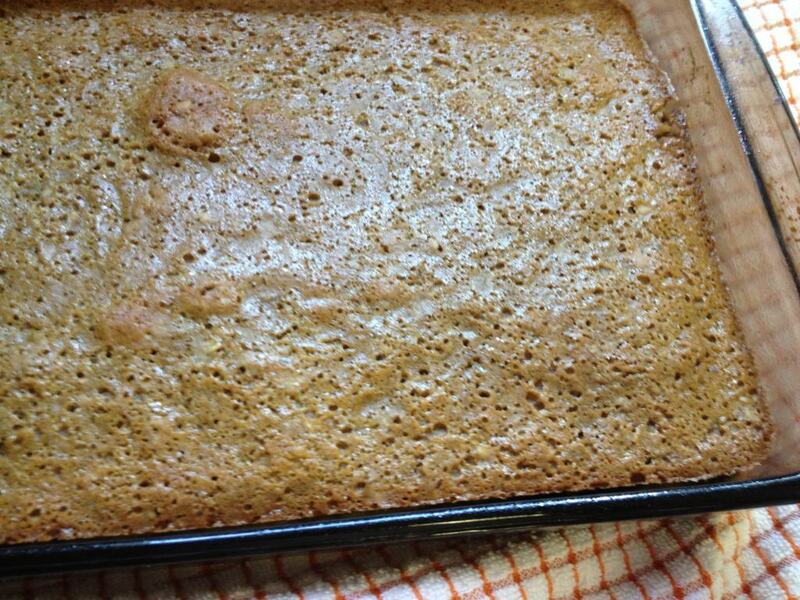 This snack cake keeps well for a few days covered, at room temperature. Oh, this looks delicious. I’ll have to make this over the winter break for the kids. You always have such great recipes.